Reckitt Benckiser is committed to running its business in a responsible, environmentally sound and sustainable manner. Reckitt Benckiser recognizes that the processes and products have both direct and indirect environmental impacts. Reckitt Benckiser will seek to identify adverse impacts and find effective ways of reducing them, aiming for continuous improvements in the environmental performance and progress towards sustainable development objectives. 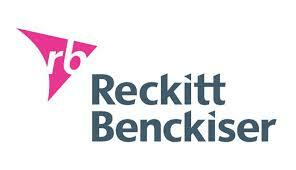 Throughout the operations Reckitt Benckiser will regard compliance with the law as a minimum standard to be achieved. To take environmental considerations into account throughout the operations. To ensure that environmental factors are properly assessed and considered, together with other issues, when key decisions are taken about new products and Processes. To establish and measure the significant environmental impacts of the operations, set realistic targets for performance improvements and monitor progress against those targets. To use energy and natural resources wisely, eliminate and minimize waste where practical, and re-use and recycle where it is sensible to do so. To engage with stakeholders on environmental issues, including the integration of environmental factors into the relationships with key suppliers. To ensure that RB employees have a good understanding of environmental issues, know why these are important to the company and the wider community, and have training appropriate to their environmental responsibilities. To conduct an annual review of the environmental performance, including progress against objectives and targets, and to make that review publicly available. The Chief Executive Officer is responsible for the Company’s environmental policy and performance. This responsibility is delegated operationally through the Company’s management structure, which includes an Environmental Director responsible for coordinating environmental performance across the Company. • In the Marketplace, this means the Customers, Consumers, Shareholders and Suppliers. Reckitt Benckiser aim to put some of the wealth Reckitt Benckiser create back into society by helping to address social issues. The focus here is on health and hygiene, with particular attention currently on HIV/AIDS and infectious disease. During 2003 Reckitt Benckiser launched two major international programs, with Save the Children and the Dettol Trust for Aids. Reckitt Benckiser believes product safety; clear product labeling and responsible relationships with the suppliers are fundamental to the integrity of the Company and the brands. In 2003 Reckitt Benckiser started work on, and have since completed and rolled-out, a new Global Manufacturing Standard; to ensure that good standards in human rights, working conditions, health & safety and environmental protection are followed by suppliers. Presentation on What is Culture? What type of Documents Commonly Used in Foreign Exchange?